I try to visit Big Chico Creek every summer to revisit some of the best small stream smallmouth fishing within Northern California. With the heavy flows from this year's runoff I was curious to see what the creek would look like compared to last year. 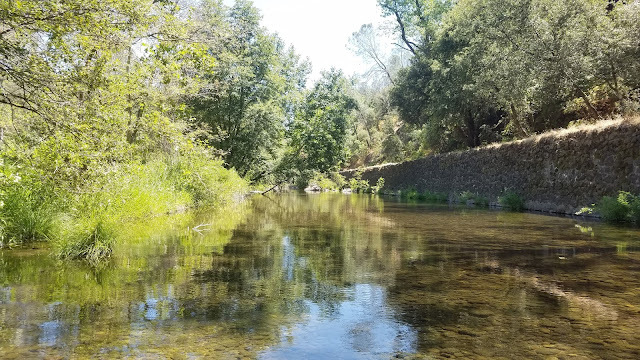 Big Chico Creek is always a great place to beat the heat and catch a ton of hard fighting smallies on an UL fly rod in the summer. Many of my go-to spots near Five-Mile have changed. The smallmouth fishing in this area was great for the past few years due to the deep water however now that this section is shallower the smallies have moved elsewhere. I ventured up and downstream but had a difficult time finding any decent sized fish. 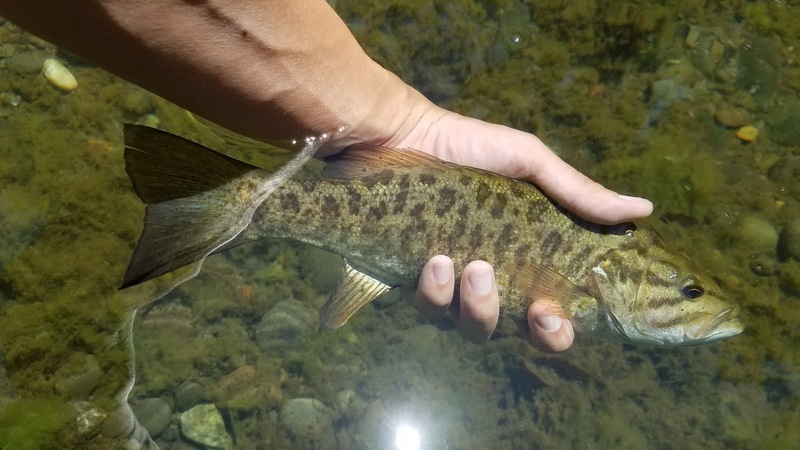 Once I made my way up towards Chico Creek canyon trail I began to find some nicer schools of fish and had a grand ole time catching them on krystal buggers and poppers. Nothing big except big numbers.